San Antonio's newest chamber group, Agarita, has set ambitious goals. 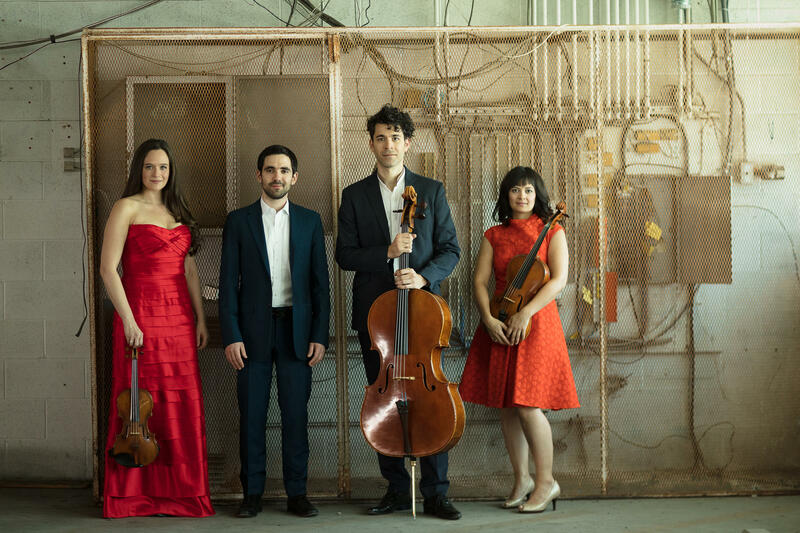 Violinist Sarah Silver Manzke said the quartet’s objective is to break down “the outdated notion of the ivory tower” by getting into the community. “(We are about) doing things that maybe been tried a little bit here and there, but really fully committing to it,” she said. To do so, they’re designing collaborations with those in other fields of art and placing performances in locations that people might not expect. “We're working with lighting artists, chefs, visual artists, dancers, architects, and kind of bringing all of this collaborative elements into the artistic sphere of all of our concerts. And we're also trying to perform in various places and sort of non-traditional venues," Manzke said. The quartet is rounded out by pianist Daniel Anastasio, cellist Ignacio Gallego and violist Marisa Bushman. Bushman said that in each performance, Agarita also gives the music context. "We always speak a little bit during our concerts to how it relates specifically to our collaboration,” she said. They give music and composer backstories to help fill out listeners’ understandings of what they’re hearing. “So, for our ‘300 Years of Luminous Sound,’ which we performed as a closing event for Luminaria, we collaborated with the lighting artists, Chuck Drew, but also with the National Park's Mission San Jose, and made sure that we really took this historic place and put the 300 years of San Antonio and celebrated it in a very historically important building," Bushman said. Manzke said those who claim classical music isn't relevant are missing the point. "We don't need to keep it relevant — it is relevant. We just need to find ways to get that message across and invite people into what we do and see how it can impact them even if they might not think it would," she said. The quartet is recreating its Luminaria event with lighting designer Chuck Drew Tuesday night at the Carver Cultural Center's Little Theater.